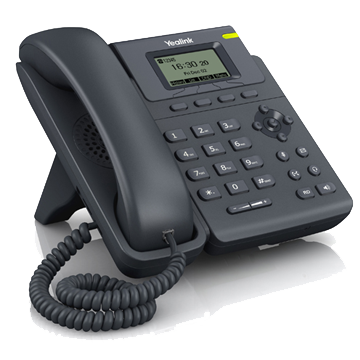 The new Yealink T19PN is an entry-level IP phone that offers features and performance normally associated with much more advanced phones. The T19PN has a 5-line graphical clear LCD display (132 x 64-pixel) which guarantees both a smoother user experience and easy access to much more visual information at a glance. It has dual 10/100 Mbps network ports with integrated Power-over-Ethernet (PoE). The SIP-T19P supports a single VoIP account. Note: As this phone has PoE it does not come with a power supply. If you do not have PoE available on your network, the power supply needs to be purchased separately.